In a move which underlines its commitment to securing businesses against a rapidly-evolving threat landscape, Seqrite has announced the launch of its latest innovation, Seqrite Secure Web Gateway (SWG). The solution leverages URL filtering, secure socket layer (SSL) inspection, deep content inspection, malware protection, and application control technologies to provide comprehensive protection from advanced Internet-borne threats. With this launch, Seqrite has consolidated its network security portfolio which also includes Unified Threat Management (UTM) solution. Built on a powerful machine learning engine, Seqrite SWG’s URL filtering feature offers best-in-class identification and prevention of advanced threats with high accuracy, and is further backed by Seqrite’s unmatched expertise in cyber threat intelligence. This enables the solution to offer the most comprehensive protection to enterprise clients by blocking malicious websites, URLs, domains, and phishing websites which serve as the launch pad for advanced security threats such as malware, spam, and botnets. Seqrite SWG also helps enterprise users to enforce corporate and regulatory policy compliance and is part of the brand’s ongoing endeavour to provide unparalleled and end-to-end IT security to businesses across all types of networks, devices, and things. A comprehensive web and application security solution, Seqrite SWG sits behind the perimeter device (hardware or virtual) to detect and block malware at the gateway level, thus protecting businesses from fraudulent websites, web applications, and security breaches. It is armed with top-of-the-line security features and provides highly-effective web protection. Seqrite SWG is also equipped with data loss prevention (DLP) component, which protects the loss, misuse and unauthorized access of sensitive business data or information. Seqrite SWG’s USP lies in the depth of its end-to-end security framework, as well as its easy usability and scalability. The solution offers predefined templates for setting up various corporate policies, in addition to giving enterprise users the flexibility to define their own customised policies. It also allows for the creation of granular policies for individual users or user groups, based on their IP addresses or Microsoft® AD/OpenLDAP memberships, for more robust protocol control and web filtering. Multiple instances of Seqrite SWG can co-exist on the same server, without any necessary interdependence, making the solution highly scalable. 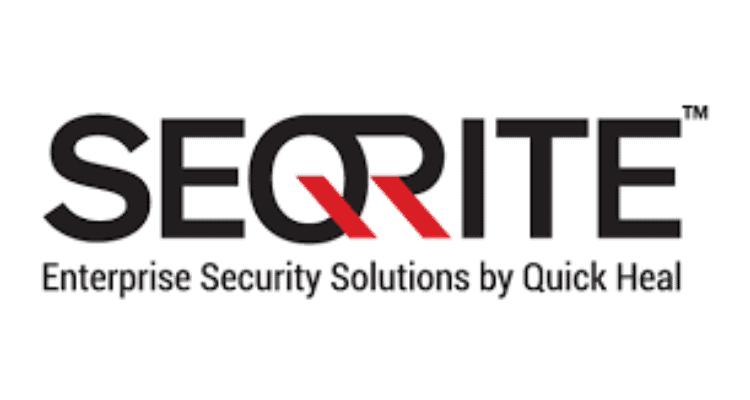 “What Seqrite SWG essentially does is provide enterprise users with a comprehensive web and application security solution that is easy to use, scalable, and can be conveniently reconfigured and managed. It is built on a symmetric multiprocessing-aware multithreaded architecture that efficiently meets the most challenging Secure Web Gateway requirements. This differentiation allows Seqrite SWG to ensure better privacy, policy implementation, and controls, be it for content or internet access. We are confident that the solution can ensure superlative protection for enterprise systems and networks against advanced threats, across all security environments,” he added. Seqrite launches Seqrite Secure Web Gateway 0 out of 5 based on 0 ratings. 0 user reviews.